Science Daily: Fitness research news. Coaching Science Abstracts: Professor Brent S. Rushall's abstract archives of sports science. SuppVersity: Nutrition and Exercise Science for Everyone. Articles based on scientific research. Shape Up America: exercises and fitness information. HealthyNet: strength training articles by Gregory L. Welch, M.S. and Wayne L. Westcott, Ph.D.
Turnstep: search aerobics class patterns; body sculpting, cycling, box aerobics, step, abs, hi/lo floor, aqua, slide, etc. Bal-A-Vis-X: balance/auditory/vision rhythmic exercises demands cooperation, promotes self-challenge, and fosters peer teaching. Medline: exercise and physical fitness. AnatomicallySpeaking.com Store: posters, books, software, and tools for exercise professionals. Krista's Women's Weight Training: training, eating, women stuff, workouts, links, crap list I & II, motivation, etc. Testosterone.net: includes Charles Poliquin's training principles article. Occlusion Training: Jacob Wilson, PhD, CSCS,*D, presents at the NSCA's 2013 National Conference on blood flow restriction training. Strength and Conditioning Research: Reviews of literature. BYU Biomechics: Kinesiology & Biomechanics of Sport & Exercise. Exercise Analysis: using torque and center of gravity lines. Center of Gravity Calculation / Calculator: Input weights, X and Y coordinates of each segments center of gravity then receive coordinates of combined COG. Center of Mass Lab: Use body segment data (mass, length, center of gravity) to ascertain total torque and full body center of gravity. Body Segment Parameters (PDF): A survey of measurement techniques. Ergonomics: Information relavant designing machine and tasks to human factors. MyoQuip: A biomechanical model for estimating moments of force at hip and knee joints in the barbell squat. OpenSim: free software system to develop models of musculoskeletal structures and create dynamic simulations of movement. Motion Analysis Tool: free windows (XP & Vista) software for taking measurements from digital video and bitmap images. Waiting on Direct X update compatible with Windows 7. Kinovia: free and open source window solution for video analysis. Used by coaches, athletes, ergonomic engineers, and medical professionals. Protractor: Image of protractor to measure angles. For angles in an image or video, simple bend twist tie and place on screen to measure angle. Tug of War: Role of Height Order in Tug of War. Physics of Rowing: Anu Dudhia of Oxford University. Physics of Baseball: Alan Nathan, University of Illinois. Physics of Baseball & Softball: The University Of Sydney, School of Physics. Physics of Tennis: The University Of Sydney, School of Physics. Pre-participation Health and Fitness Assessment (several links to ExRx.net). Grey Cook Movement book downloads: FMS Scoring Criteria, Verbal Instructions, Score Sheet, etc. Funtional Movement: Functional Movement Screening.Correctional exercise database for less than perfect FMS scoring. CSEP Screening Forms: PAR-Q and YOU, PARmed-X, and PARmed-X for Pregnancy. Beep Test Cadence: 3.6 MB mp3 file from the Royal New South Wales Regiment. Army Fitness Norm Charts: scoring for push-up, sit-up, 2 mile run, and body weight. Army's New Functional Fitness Tests: challenging, gender-neutral tests focus on the fight. CNN Article: get in shape like a soldier: the Army's new fitness test. AAPHER Youth Fitness Test Manual: 1976 Percentile Scores Based on Age. Evaluation of the AAHPER Youth Fitness Test. FitnessGram: Healthy Fitness Zone Charts. Biosignature Sites: Poliquin C (2008) Meeting of the Minds Conference. Colorado. The Barbell Physio: how to build your own Functional Movement Screening Kit. ACSM: American College of Sports Medicine. NSCA: National Strength and Conditioning Association. NSCA Position Statements: explosive exercise, squat, plyometrics, youth resistance training, female strength training. ACE: American Council on Exercise. 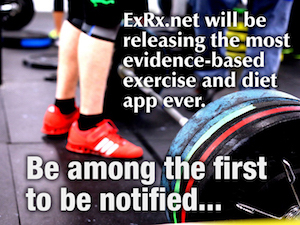 IDEA: virtual on-line library of exercise news, information, and research. AFPA: American Fitness Professionals and Associates. Shape America: Formally American Alliance for Health, Physical education, Recreation, and Dance (ASHPERD). Canadian Fitness and Lifestyle Research Institute: strength training for older adults. Canadian Society for Exercise Physiology: organization of exercise science professionals involved in fitness and health. Punk Rope: most popular rope-jumping based class in US, offering workshops to fitness professionals. America on the Move: helping individuals and communities make positive health changes. Healthy People Atlanta: promotes health and well-being in the Atlanta's Metropolitain communities. P.E.4Life: grant money available for initiating, expanding, or improving physical education programming. The President's Council on Physical Fitness and Sports: government fitness publications and award programs. Let's Move: America's move to raise a healthier Generation.